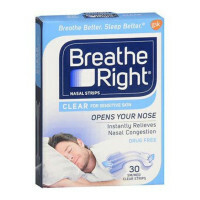 Heading Breathe right, right now. 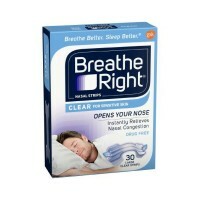 Directions Try one if you suffer from: SNORING: For best results, use nightly. NASAL CONGESTION due to allergies, colds or deviated septum. Please read enclosed instruction sheet before use for: Complete caution statements. Proper application and removal. Get the right size for best results. Small/Medium: Fits 75% of adult noses. 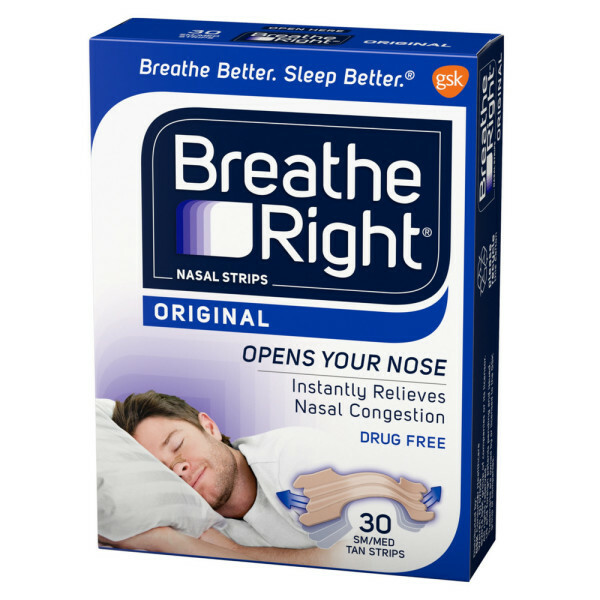 Uses It's simple: Flexible 'spring-like' bands gently lift nasal passages open. Special adhesive holds strip comfortably in place. Improves airflow up to 31%. 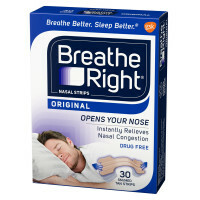 Breathe Right Nasal Strips open your nose to help you breathe better so you can sleep better. Warnings Packaging of this product contains natural rubber latex which may cause allergic reactions.